We are aiming to plant 10000 trees within an area of 5 acres (20243 sq. 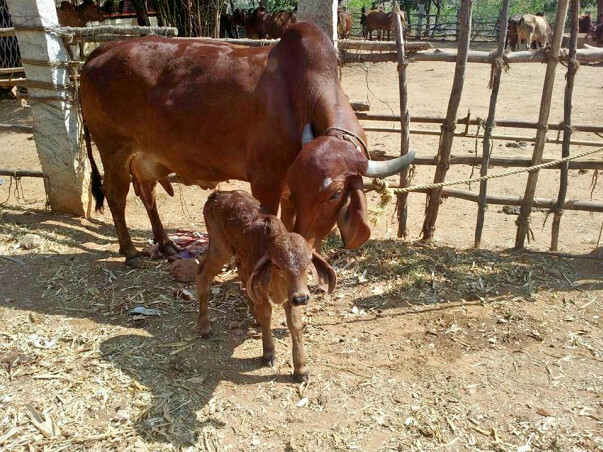 m.) in land that is part of a large Goshala compound in Doddaballapur district, rural Karnataka. 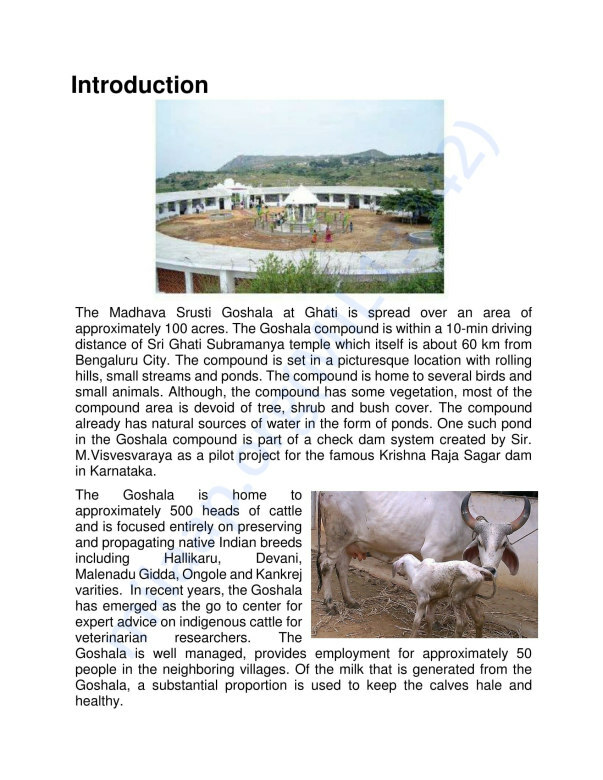 The Goshala is run by a non-governmental organization called Rastrotthana Parishat. 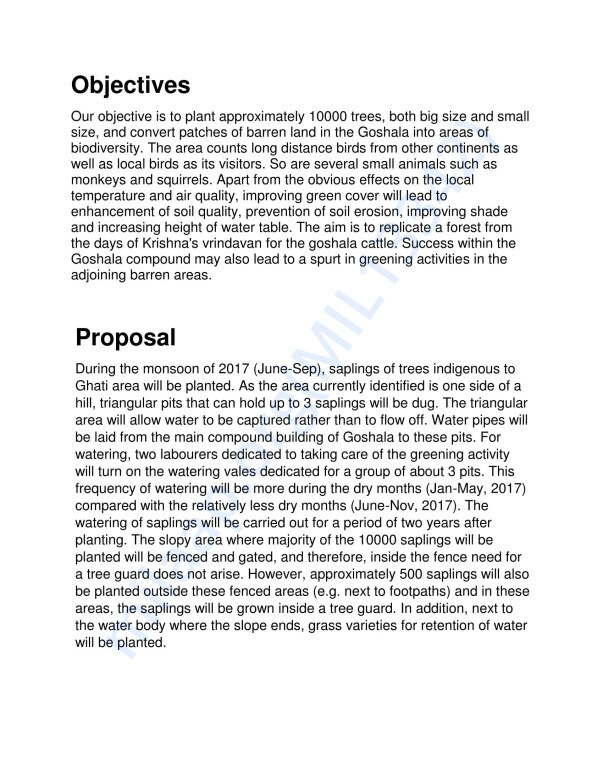 The objective is to significantly increase biodiversity in an area that is hot, dry and mostly devoid of vegetation. The cost estimate is Rs. 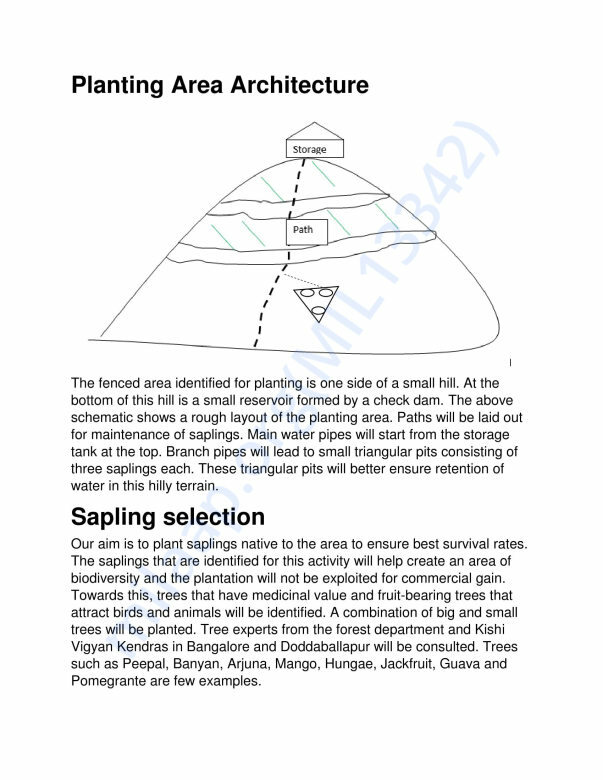 200 per sapling for planting and one year of continuous maintenance to ensure 100% survival. The planting will take place during the 2017 monsoon season from June-October. Please go through our video and the detailed project report for more details. 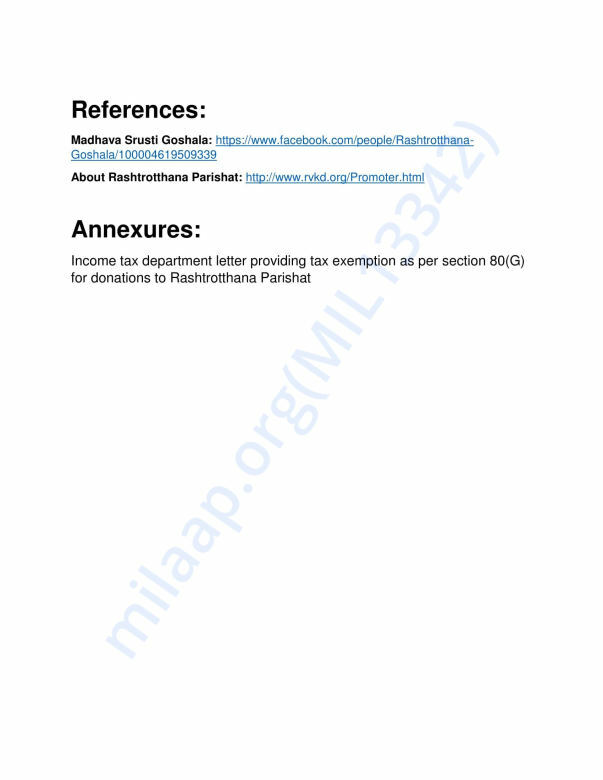 All donations will be exempt from tax under section 80G- contact us for this letter. 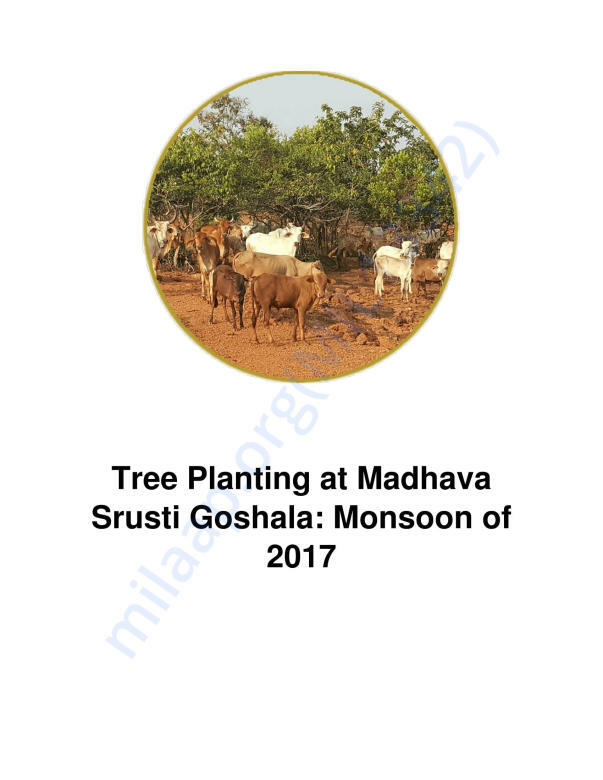 In the first phase of tree planting, we planted between 100 and 150 trees along the goshala pathways joining hands with Happy World Foundation who supplied the tree guards and bamboo support sticks. We pitched in with around Rs.14,000 using funds from Milaap and outside Milaap. 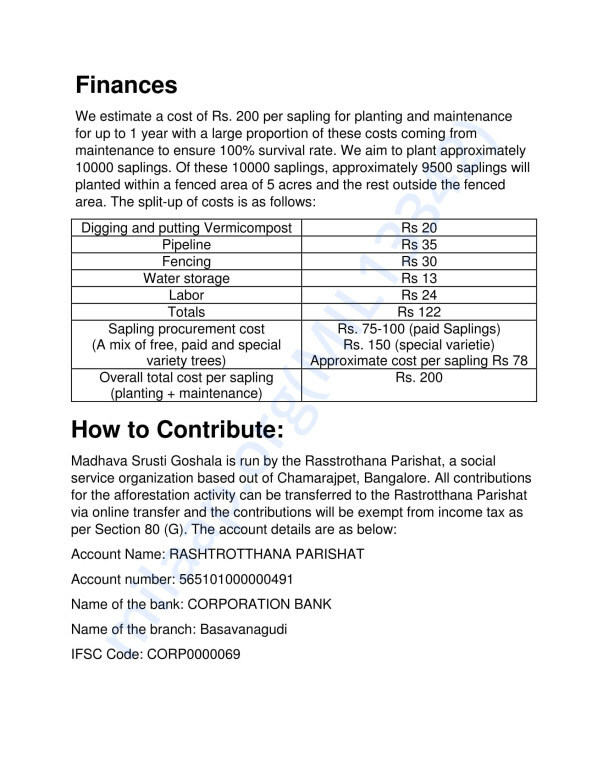 The cost of saplings was around Rs.3,000. The tree guards were necessary in order that the cows do not graze on the saplings. For the saplings planted along pathways, it was easy to water using a JCB. For the larger plantation drive on the hill, the saplings need to be watered regularly on the hillside and for this drip irrigation and a borewell are required. For the saplings planted on the hill, it is difficult to water without drip irrigation. 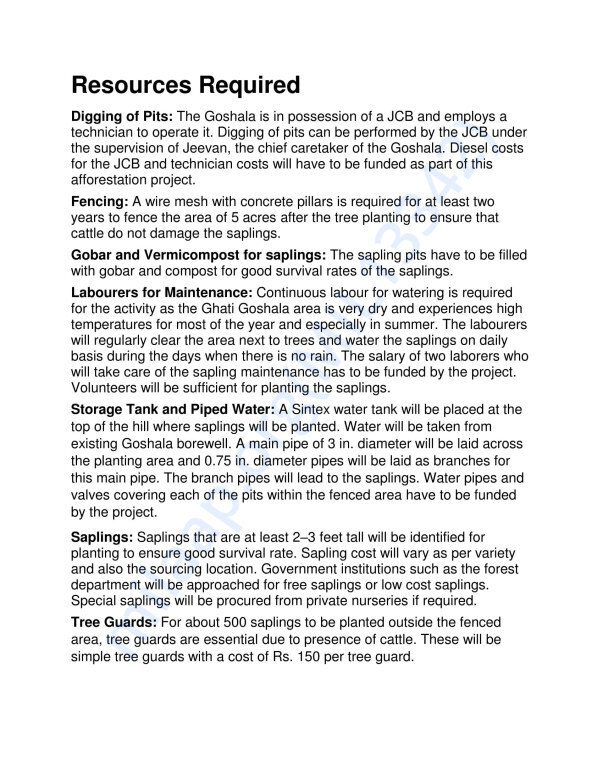 There has been a delay in laying the drip irrigation and bore well due to rains which blocked access of heavy vehicles to the goshala (the goshala is in a remote region). We plan to get this done in the month of December (the water has receded now). 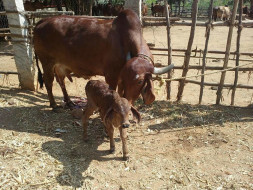 The funds raised at Milaap will be used to fund the bore well and irrigation. Please keep spreading the message about your campaign and keep contributing. Yesterday, we raised about Rs. 7000 during a fundraiser at an organic fair. The response is good, but we are still far from the amount we want to raise. Please keep contributing.